Back to blogging after a wonderful vacation!! Finally we 3 siblings could spend quality time together, my sister and brother live in US and I went to visit them and spend some quality time together. I have been to both East coast and West coast and instantly fell in love with US. More than the beautiful places, I was touched by generosity and kindness amongst people.Everyone is so kind and polite to each other I kept asking my brother why is everyone so nice??!! Mangoes are in season now and one of the simple and delicious rceipe to make using those green raw mangoes is making this delicious mamidikaya pulihora. The greener and less riped mangoes are better and the crunch of the peanuts, roasted dal, spicy chillies takes this recipe to a total different level! This is one of my favorite recipe to make on festivals as it doesn’t take lot of time and no major preparations needed. So lets get started. Wash and grate mangoes in the required amount. Some people peel the skin and use just the pulp but I like it with the skin gives more tangy flavor. 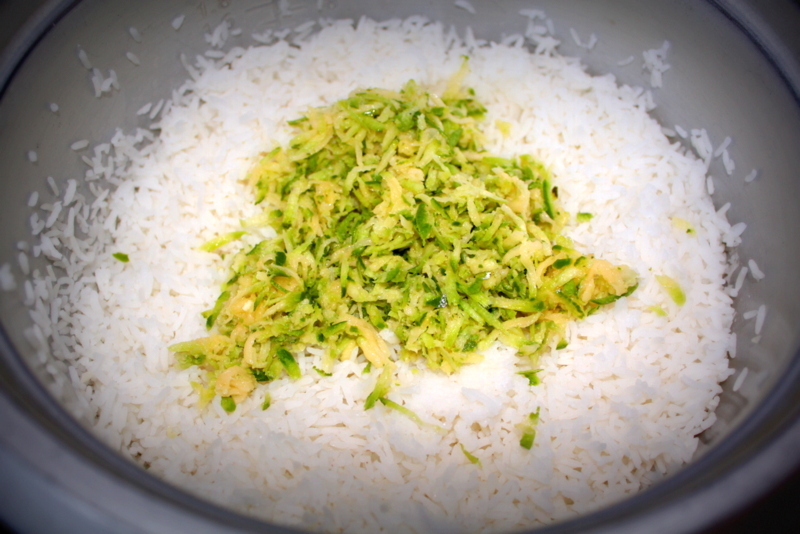 Take a bowl and add cooked rice with grated mango and salt and keep aside. This helps the rice to get all the flavour of mango. 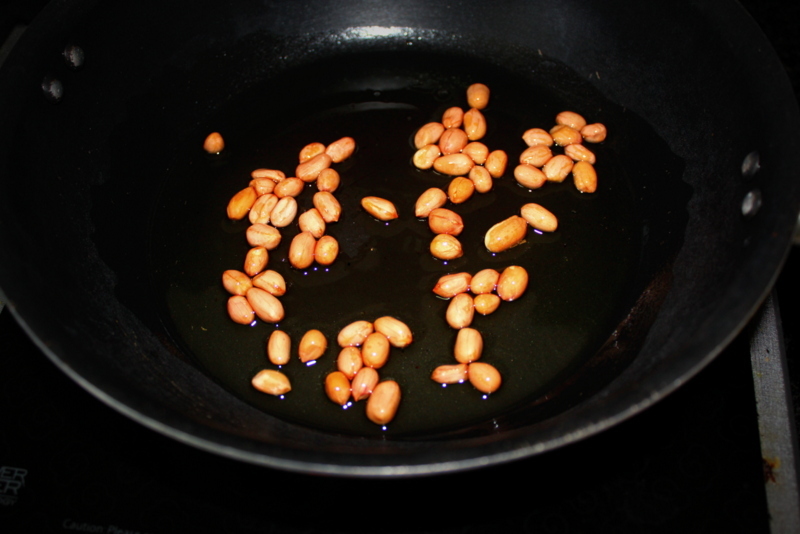 In a pan, add oil and fry peanuts until they change colour and keep aside. I personally always fry peanuts first before adding to the tadka, I feel this makes them more crunchy. Add fenugreek seeds, mustard seeds, urad dal and saute for a minute. 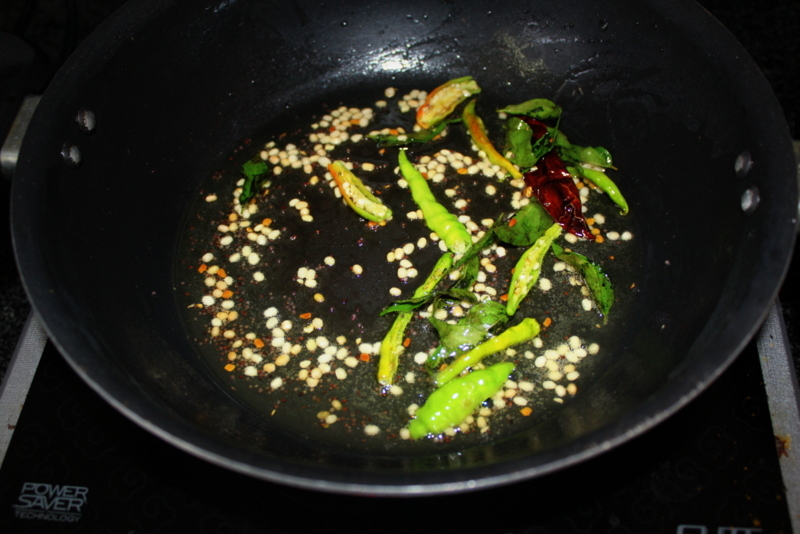 Now add green chillies, red chilli, curry leaves, hing, turmeric and saute for few minutes. 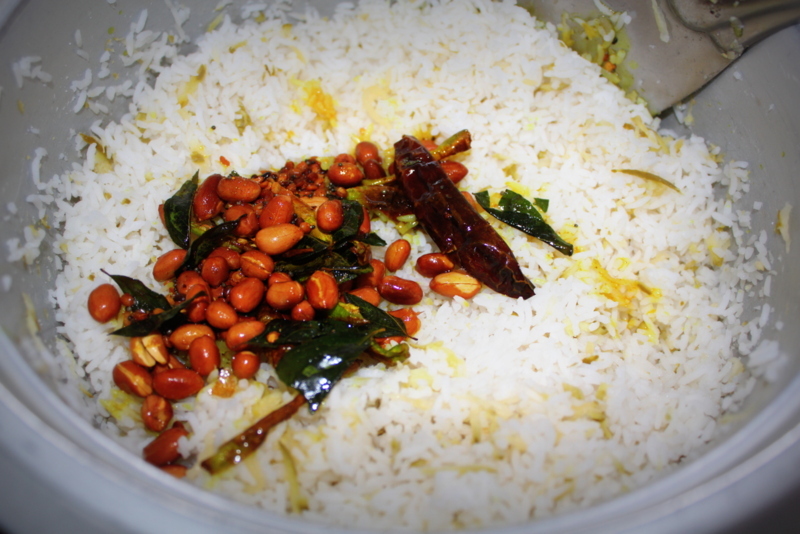 Take this tadka and add to the rice. Give it a good mix until well combined. You don’t really need to cook the mangoes, but if you wish you can add grated mango to the tadka instead of mixing with the rice directly. 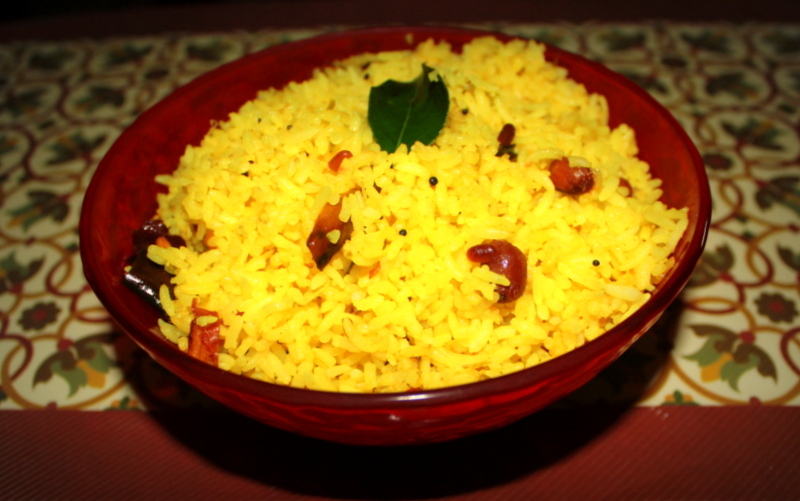 Tada, serve this simple mango rice with some fryums or papad and enjoy the summers! !